Go to careers.lidl.co.uk or lidl.co.uk/careers to get yourself landed on the LidI careers page on which displays three ways to find your ideal job title - Choose the careers areas like retail careers, warehouse careers and graduates/placement from the navigation bar or click Job Search to enter job title, business function, keyword, city or zip code or just click the link "Show all vacancies" to find a job title. Here we just choose to input a job title in the blank to search. After the last step of entering the job title, you'll be shown on the page below that tells you 1 jobs found under which condition is now available for you to apply for. If you enter keywords that produce many results, you may need to use the filter criteria on the left side of the page to help you locate the exact job title. Here we just click the job title to view more details. 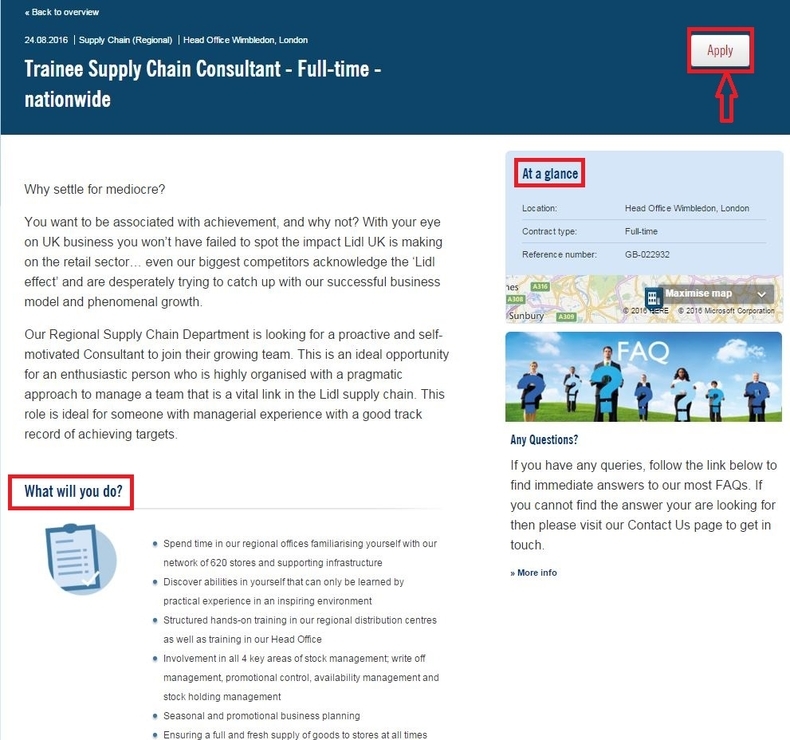 You're directed to the page below asking you to read the job description including the role responsibilities, requirements and benefits.Take a deep consideration and then click "Apply" to move on with the online application. 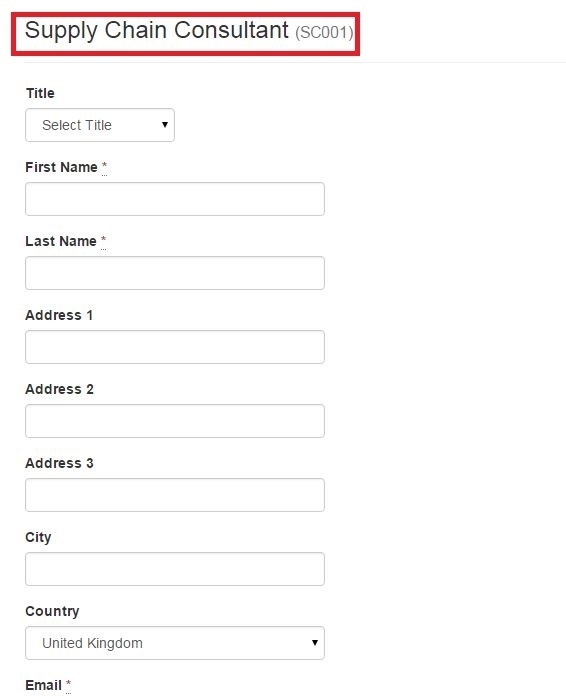 In this step, you'll need to fill out your candidate information by entering you name, address, phone number, etc.. and then register a new LidI account by entering your full name, e-mail address and city/state, which will make you the first to know when Lidl jobs begin accepting applications. With all the previous steps finished, you'll be displayed the page below indicating that you've done with your Lidl online application. 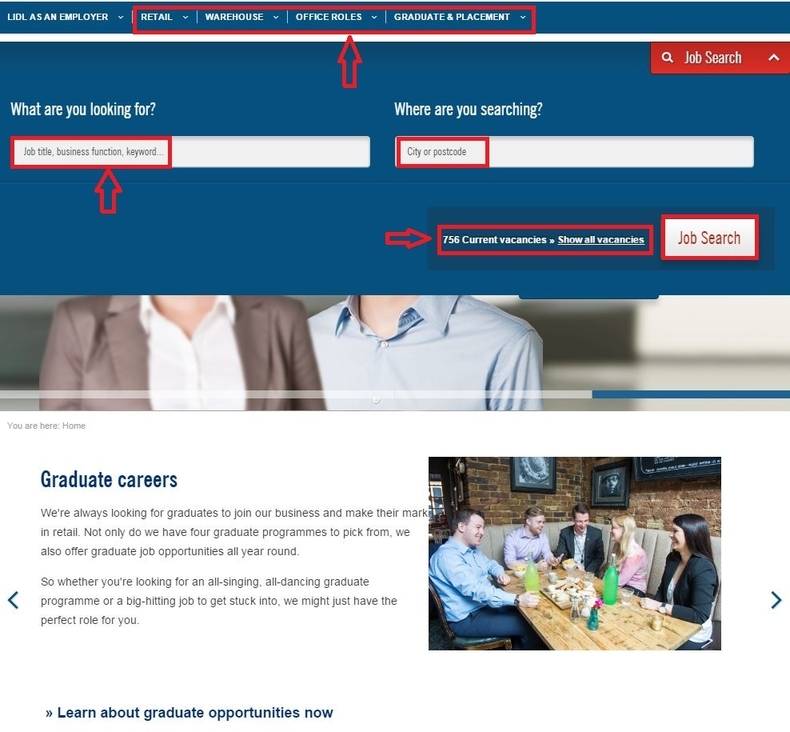 You may click "here" to view your application summary or return to job listing to search more job opportunities. 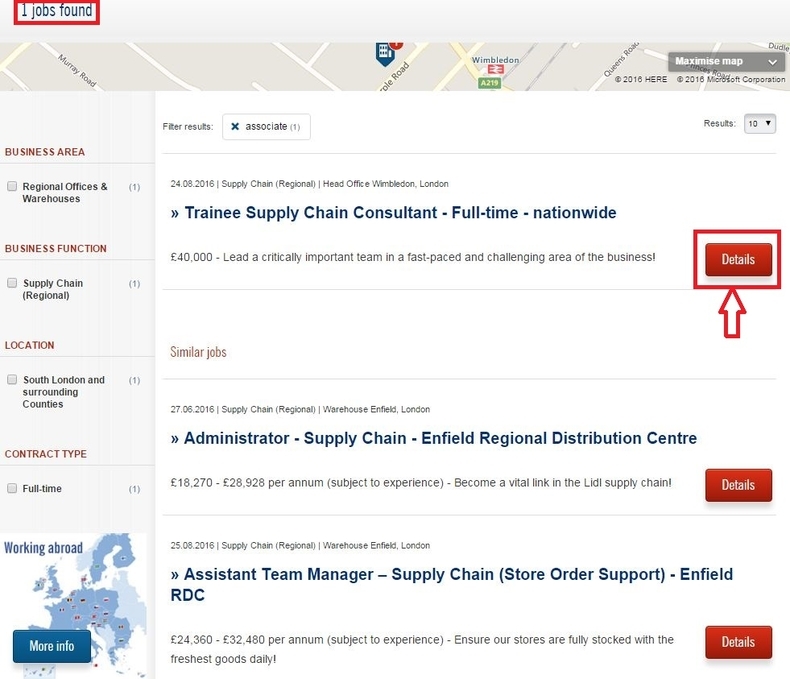 Click careers.lidl.co.uk to apply for Lidl jobs online. fatoumata fofana 15 days ago Rated 3.0 while im looking for job to improuve my experience.